I am setting up a new tank of almost 80 gallons; the biggest I've ever owned! As it is so much water and a rimless tank I wonder if and what I should put between the stand and the tank? Anybody using something? And if so, what? Some I know swear by having a layer of Styrofoam between stand and tank. Its your choice really. I do use 5/8 styro under most of my tanks. Marineland for one says not to use, and will void warranty if you do.Most of my tanks are ML, I use foam anyways. Miracles in Glass, a custom manufacturer in Toronto says yes to using it for their tanks. Acts more as a leveling tool than a protector. For 80g, I wouldnt be concerned one way or the other. If you stand is solid and level, its your pick. 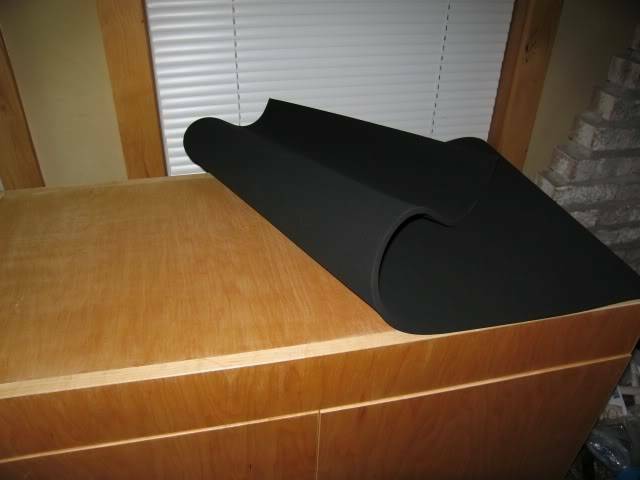 Since i know the tank you are setting up, it is vital to use a layer of soft material between the tank & stand. It does not have to be very thick,personally i used tool box draw liners, here is a link to what ADA sells for reference. The reason is the stand surface can have distortions , which will create stress risers, this in turn can cause the bottom panel to crack, since the tank sits on the entire bottom pane as opposed to the Marine land type tanks that sits on the edges of the 4 side panels aka floating bottom panel. That is a great idea, especially since the liner is mostly black so it will look very esthetical! I also see that Homedepot is selling this, so off we go! No , that`s a glass top. Ok, seems that our computers work a bit differently; it is on the same page but lower. But it is extremely thin and only serves as an anti slip. Am i reading it correctly , it`s 2 inches thick? 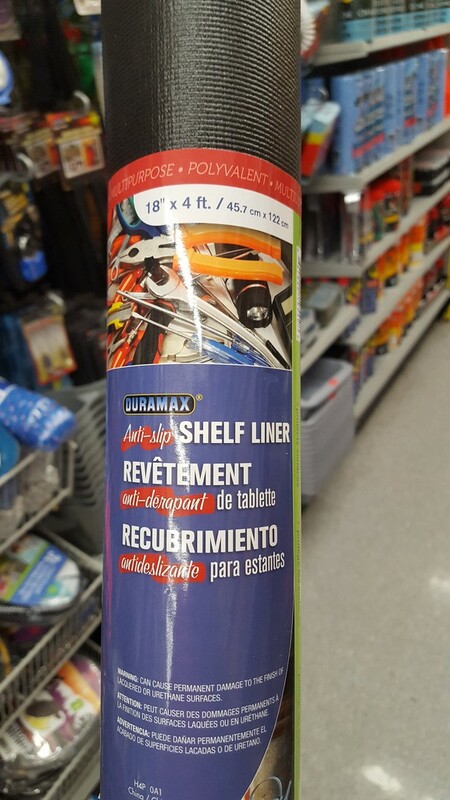 The Dollarama stores here, carry a utility liner which has the same 48X18 so you would need 2 rolls to cover the 20 inch depth of your tank, this is what i use now. It is thick enough for the job. Here is a link to an old thread on OVAS, addressing the subject of foam under the tank,note the post by babblefish, it explains the reasoning. The original reason for adding styrofoam underneath a tank was based on two distinct factors. The first being that the tank had the bottom plate truly on the bottom, whereas most tanks now are made with floating bottoms, in that they bottom pane of glass is not the bottom of the tank, it is suspended from within the tank about an inch usually from the base. The second being that the surface which the tank usually resided upon was either homemade or a piece of furniture such as a dresser or such and as such was not always a truly flat surface. These two conditions would meet together and create what were called stress risers in a tough and flexible homogeneous material that sadly has a distinct breaking point, with the usual accompanying sounds. These stress risers would culminate in catastrophic failure from a single point in the two surfaces having so much pressure applied, and that often meant water everywhere all at once. Why we still do it, is for similar reasons, but largely to meet two objectives, the first being that it is a good insulator for the tank to not lose, or sometimes gain heat too easily, and also to keep the irregular contact surfaces from creating these errant stress risers. Busdriver can explain what happens when a stress riser erupts on the front panel of a 150 gallon tank with a 30" height. It made a mess. Do not be misled or mistaken in the belief that styrofoam will level a tank, it will never happen. Your stand must be solid, secure, and perfectly level, and the styrofoam will iron out the little imperfections in either surface. Any thickness is good, making certain that the mounting of tank onto the foam won't become imperiled by instability, but I use 1" commonly, and have lately been finding that the 5/8" foam is equally amusing. I believe there is 1/2" as well, and by styrofoam, I do not mean the white packing foam, I am referring to the blue or pink extruded foam that is found at any hardware store. " Here is the reason Marineland & other manufacturers do not recommend Styrofoam under their tanks. Their tank builds employ the floating bottom style( the bottom panel is recessed & silicone to the inside of the 4 vertical panels') leaving the bottom edge of those 4 side panels to do the load bearing, as such the foam can compress and stress the floating bottom , resulting in a blow out. not so with the flat bottom tanks. I will have a look at yours in the dollar store.